Dental hygiene is the practice of teeth-cleaning as done by a professional dental hygienist. Often referred to as scaling and polishing, a thorough cleaning of your teeth at regular intervals is a great way to maintaining overall good dental health. Hygiene visits aid in the prevention and treatment of periodontal disease (gum disease) and dental caries (tooth decay). The dental health of the mouth is maintained by regularly having teeth and gums cleaned during these visits. Gum disease can cause bleeding gums and bad breath which can be both unpleasant and embarrassing. The condition can also lead to the loss of teeth in its advanced stage. Part of the hygiene treatment includes advice on how to clean and look after the teeth and gums, as well as providing information and demonstrations on the many dental products available so as to achieve and maintain good oral health. At our 18 Point Dental assessment , we place great emphasis on hygiene treatments. For patients with high tooth sensitivity hygiene cleaning may be uncomfortable, in such cases we can offer various treatments to make this procedure painless. Our dental hygienist will teach you oral care techniques that most effectively remove plaque – the primary cause of gum disease. We spend a lot of time detailing the importance of healthy teeth and gums to our patients, and have two dedicated dental hygienists who can ensure your teeth are clean and bacteria-free to combat the effects of gum disease. Your oral health is their main focus and they will help you manage and maintain your gums as well as your teeth and keep them healthy. At Lane Ends Dental PracticeCastle ,we feel preventative dentistry is the best form of dental care and our dental hygienists have your best interests in mind. During the past few years I have been searching for a Dental Hygienist with exceptional academic, professional and personal background to join Us as a dedicated member of our dental hygiene team . As many of you know transition is not only tough but exciting. I have known Colin Clark for some time, and I am confident he is the right fit for all of us. In addition to Colin’s academic achievements, we are proud of his goal of complete dentistry, his caring attitude, as well as his penchant for community involvement. He has been involved in a variety of volunteer activities, providing dental care in many different charity projects. Colin’s interests out of the dental practice are ALL things related to sports. He loves running different marathon events in his free time. 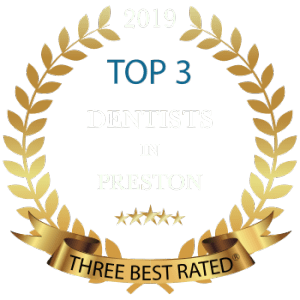 His philosophies regarding dentistry and patient care are very much aligned with those my staff and I have championed over the past 20 years. He is a friendly, caring professional with uncompromising personal and professional standards. I am confident that our valued patients will share in our enthusiasm as we welcome Mr Colin Clark as our much appreciated and accomplished Dental Hygienist. They play an important part in dental health care and are mainly concerned with preventive dental health and treating gum disease – showing you correct home care and helping to keep your teeth and gums healthy. Dental hygienist are an integral part of the dental team, and in fact, can save you a great deal of money at the dentist by helping you keep your teeth healthy and prevent gum disease. How often should you visit the hygienist? If you have good oral hygiene habits and a healthy mouth, your dentist and dental hygienist will probably suggest professional teeth cleaning at least twice a year.